I already mentioned in my 100 percent profit bot review that this binary options trading robot actually looks very promising and offers good profit potential but it also requires traders to open multiple accounts which increases the amount of money that could be lost. Let’s look at how 100 percent profit bot is supposed to work. So you’re wondering what’s inside and how it works. Let’s log into my 100 percent profit bot account so you can look over my shoulder and see how it works okay. Logging in, let’s take a look at how it works and how easy it is to trade with it. First of all, as you can see the system is fully automated and web-based. There’s no need to keep your computer on all the time like with other systems. Just click the Activate button and let it trade. The easy get started section is explaining to you step by step exactly what you need to do to get started fast. Step one is to choose your brokers. You can fund up to 8 brokers and the minimum is four to activate the software. Multiple Accounts: 100 percent profit bot is capable to trade up to 8 accounts simultaneously and Wipe them out if things go wrong! Remember you can simply split your deposit into four brokers so the robot stays under the radar and your profit is never too big with one particular broker. The developers consider this the key to success of this system. Once your profit reaches nine thousand US Dollars you MUST withdraw it or the robot will stop trading. Remember, always withdraw nine thousand dollars of profit when you reach that amount. Once you fund your four brokers simply click the Activate button in the robot section and it’ll start doing its magic. You can scroll down to see your brokers balances and your recent trades in real time. But the best part is you don’t even need to sit near the computer to use 100 percent profit bot. Please visit investor.gov for more info about binary options trading risks as well as binary options scams and fraud. Posted by jenscl at 4:14 am	Tagged with: 100 percent profit bot, 100 Percent Profit Bot Wipes out multiple Accounts! 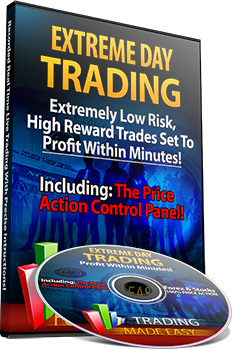 Price Action System you can Use Right Away! TradeRush Review SCAM – Don’t Trade! Read this before trading! Example of a binary options broker review with a lot of useless, rewritten text with NO VALUE …a TradeRush Review SCAM from TradeRush affiliate. The Trade rush Review affiliate plan presents you with a chance to earn affiliate commissions, offering reimbursement that only some sites can count on or so. Trade rush has many different advantages, such as given that the top of the line trading tools and keeping you up to date on all the most valuable information. Register your trading account with Traderush and start trading binary options. This feature offered by the binary options step (what the heck is he traing to tell us?) is one of the thrilling ways accessible for trade. This is because traders can receive up to 82% profit. (or 100% of a loss 🙂 or was it more…. However, it is very significant or important (that does not mater though) that the traders employ a well planned policy to supervise or not so that they don’t over trade their assets?? Ahhh, was this supposed to be related to risk management? The USD/EUR pair will fall to 4.31130 in the succeeding or coming week, moths years seconds or WHATEVER at least once. The USD /EUR pair will go up to 1999.39310 in the succeeding week at least once. TradeRush Review tracks Reuters data and relocates the payout by the option expiry date, if the terms have been fulfilled earlier to the finishing closing it’s enough with it trading in fast but reliable time. This characteristic proposes a policy to decrease losses in a deal – trade. The trader can suspend the expiry of her/his decision (what?). The trader can start rollover when (he or she, no it) decides that her/his prophecy (I love this whole propehcy thing in this TradeRush Review Rash)is likely to be off aim by the resultant expiry (expirantion!!!) date. This offers the trader a chance to lock the trade right now in the money or not. Rollover will be accessible till 10 minutes earlier to ending of the highly thought about trading decisions that never end at the end of expiry. Rollover can be applied only once for each precise trade selection. When a deal is about to finish or end, the trader realizes that the direction that she or he has imagined in his dreams is on a rocking role. The trader can then decide or dream about cliking on the Double Up button on his mouse maybe in order to create a new trade on the same situations at the possessions current price. Therefore, the Double Up trait trading option helps traders to raise their open position speculation and double their earnings by the finishing time and capitalizing on a position that is strong or weak…we don’t want to get to precise here. An upright attractive stripe, it is often better to take a smash (aha), keep on out of the markets and wait until you have your mind set and poignant balance back in check. If you just had a succession of losses, do not scuttle in to try and ‘win’ it back. Appraisal what happened, review your trades and see if you made some errors. Good idea, why not. If you just made numerous huge profits (I guess he meant losses), so do not rush to provide it all back. Your trading plan should tell you what to do if you have a series of losers or if your account is drawn down by a confident proportion. (that good ols trading plan)Your trade rush plan should also advise you what to do after a succession of winners – yes, that is cool! Register your trading account with Traderush and start trading. Please visit the CFTC and investor.gov information about risks and fraud related to binary options trading. For an overview of Binary Options Trading and Regulations you can also visit our Binary Options Site.